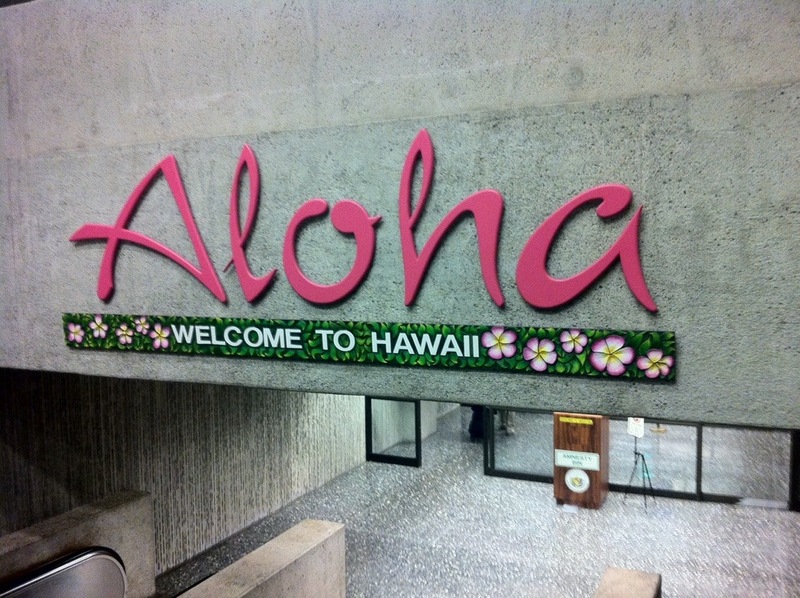 Aloha from the lovely Island of Oahu! 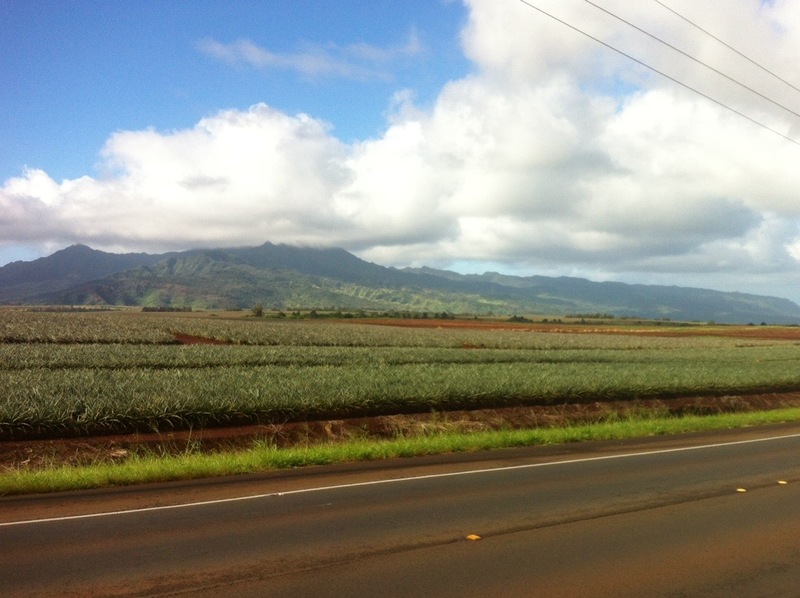 We started the day with a run along the Dole Pineapple fields, where I learned that pineapples grow in the ground NOT in a tree. I was told I should be embarrassed that I didn’t know this. Oh well. 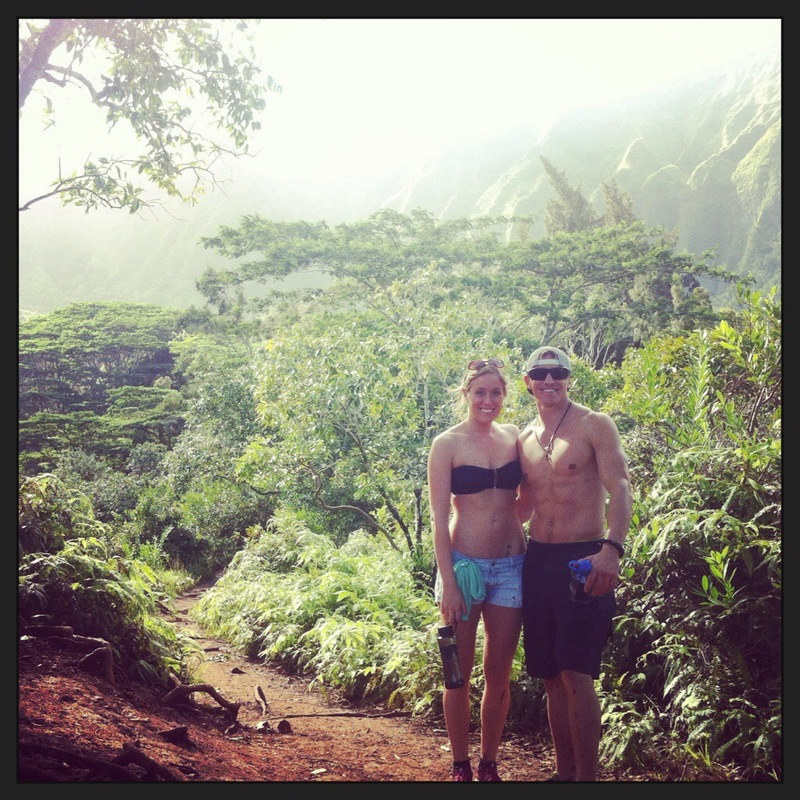 Then we decided to take a very muddy hiking adventure to a waterfall called Maunawili Falls. We slipped and slides, crossing some creeks as we went. The boys hoped across the rocks like pros while I said ‘screw it’ and got my feet wet. I’m not graceful enough to hop. The water was a little cold but well worth the hike. 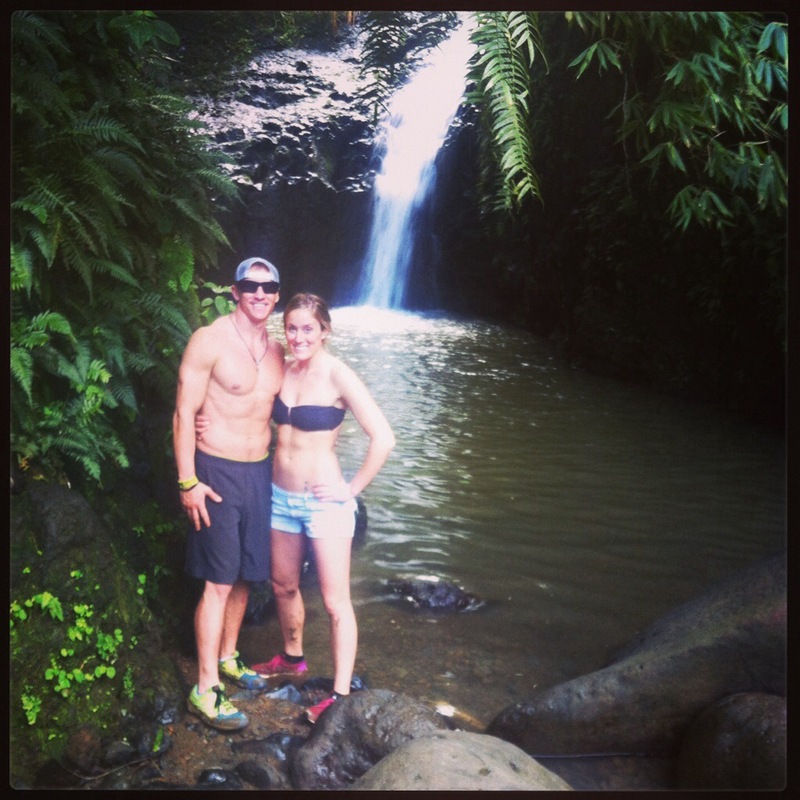 This entry was posted in Uncategorized and tagged hawaii, hike, oahu, travel, vacation by fionaboger. Bookmark the permalink. Romantic places where couples can simply enjoy each other – which is really the whole point. Um I didn’t know that about pineapple either ha you guys look great! You can stop blogging about this trip any minute now… I AM SO JEALOUS!!! You two look so cute together!! But for real, I’m so jealous of his awesome trip! !